Well, would you believe it? It's January 14th already! 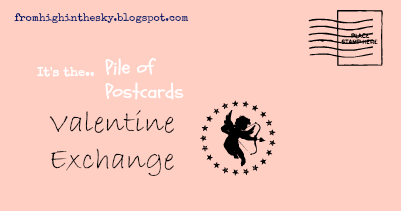 That means we only have a month, so we'd better get our stamps on if we're going to organise a Pile Of Postcards Valentine Exchange. Would you be interested? I do hope so. The original Pile Of Postcards Exchange last summer was a lot of fun so of course it wasn't long before I started thinking about a good time to do it all over again. Round about now feels good to me. How about sending a little extra love round the world this February? Now, I know Valentine's Day can be a pretty inclusive affair, with lots of cards, in some places; but, round here, we have a tradition of sending only a single card, to our one true love. For that reason I'm not going to suggest we send traditional Valentine cards. How about, instead, a postcard with a picture of something you love? Your favourite view, perhaps, or a painting you like, or a special quote? You get the idea. I hope you'll join us! We'll do it the same way we did it before. Everyone will get a list of six names and addresses to post to and in return will receive cards from each of six surprise senders. 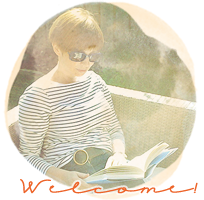 I'm making one change in that I'll add blog addresses (if you have one - absolutely not essential) to the list, to make it easier to keep in touch and say thank you. Sooo..if you'd like to join in, please email me at the link in my sidebar. If you know I already have your address and blog details, great, don't bother adding those; but if this is your first swap (and you are very welcome if it is!) please do make sure I have all your information. I'd appreciate a FB "like" or a "follow" here, so that I know who you are and how I can find you. This is an international swap, so do keep in mind that you'll have a mix of places to send to and be willing to adjust your posting schedule accordingly. We want as many cards as we can manage to land on or around Valentine's Day. All cards must be posted by 12th February .If you joined in last summer I'll try to make sure you find some new names on your list this time round. Newcomers, please jump in! I'd love some new names for the list! Any questions at all, please get in touch. For now, have a think about choosing six postcards to send. What do you love? Great idea,Sian....and with the wintery weather it'll certainly brighten up the days for those of us in the northern hemisphere. Please count me in again Sian. I'd love to be included; you have my details! Yay!! I'm in again. It is so much fun to get snail mail! Oh yes! Count me in please! I think you have all my details! I'm in this time - just emailed you! This will be FUN! I loved last years cards, they are still on the fridge. I would to join in again. Joining again :), please. And great to have a way of saying thank-you. Oh Sian, you come up with the best ideas. I'm afraid I may have to sit out of this one. Funds and dissertation writing are putting rather a strain on my time over here! i will enjoy watching them flood in around blog land though! I so enjoyed joining in over the summer. Yes please. I'm in x. I think you have my details. Count me in again. This was so fun last time. I'd love to take part in the exchange, will email you tomorrow! this was such fun last year I am so looking forward to joining in again. I'm in. Thanks for organizing this. By February I'm always looking for some way to brighten things up! I would love to join in Sian! I saw this last summer and had missed the deadline, please add my name :) I will also email my information.